Biofuels - often suggested as low or no carbon alternatives to fossil - may not be as green as they seem. The promise is attractive: can we use plants to make fuel? If we could, we would be taking carbon dioxide out of the atmosphere and using sunlight to turn it into fuel. The carbon dioxide would of course end up back in the atmosphere after we burned it, but that's got to be better than burning fossil fuels and turning trapped carbon into nasty CO2. Hasn't it? In 2013-2014, biofuels will make up 5% of the UK's transportation fuel, either as bioethanol in petrol or as biodiesel. By 2020, this could be as high as 10 or 15%. 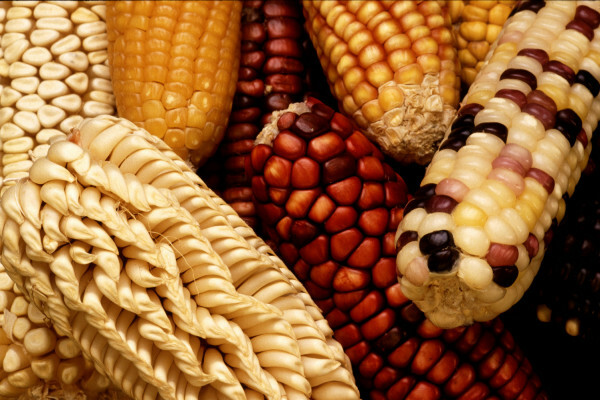 The bioethanol is produced either from corn (maize) grown in the US or from Brazilian sugarcane. The biodiesel is mainly from waste cooking oil or other non-food sources such as tallow - animal fat. The problems with using potenti al food sources to produce fuel are relatively well known - food prices are increasing in the developed world while much of the developing world is struggling to get enough to eat, so diverting crops to produce fuel seems counter-productive. In the case of US corn, for example, using the crop to produce fuel means that the price of corn to eat goes up. So what, you might ask, I can live without sweetcorn? But corn is widely used as an animal feed, so the price of beef goes up. Livestock farmers then look for alternative feed and the price of other grains - wheat, barley or rice - goes up. So using corn for fuel makes the meat and the bread in your burger more expensive! Of course, pricier burgers in the developed world might actually be a good thing with our obesity epidemic, but in the developing world higher food prices can be catastrophic. Food riots and political instability can result. So those are the questions about social/political sustainability that biofuels raise, but what about the environment? In order to produce biofuels from crops without affecting the global food supply, we'll need to use land not currently used for farming. And the big problem with that is that it releases a lot of carbon that is "locked" in either forests or peatlands. Palm oil production is linked to destruction of rainforest in the tropics, for example, so there are losses in biodiversity as well as in "locked" carbon. So even if the resulting biofuel is produced from then on in a low-carbon process, the net effect is still contributing to global carbon emissions. What about biodiesel waste products? Although these are much better, there is still some uncertainty about exactly how much better. And some estimates even suggest that using them might increase overall carbon emissions - for example, if tallow is used for fuel instead making soap or animal feed, it could be replaced with something derived from fossil fuels. And in the case of used cooking oils, it's very hard to trace the product - it could be that palm oil, produced in an area that was once rainforest, is sold as recycled when it hasn't been used. That might sound like a strange thing to do, but if the price of palm oil compared to used cooking oil is right, then it's worth doing - especially when recycled oil counts double towards a company's biofuel credits compared to 'fresh'. And finally, all of this is expensive - estimates start at $200 per tonne of carbon saved and go up from there. These costs will be borne by motorists (10 cents per litre - but that might be for a whole litre, rather than the 5% mix). Chatham House estimate the cost at around £460 million a year - around £30 to £40 per motorist. They suggest that there are better ways to reduce carbon emission from transportation that actually save money in the long run - switching to more efficient cars, for example. And in the longer term, hydrogen, battery or fuel cells will be a better way to remove carbon from cars.